Is Energy E&P America’s Hadrian’s Wall? 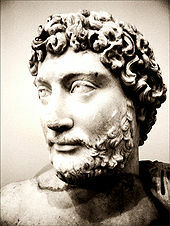 Hadrian was the third of the “five good emperors” of Rome ruling from 117 to 138 in a time of consolidation of the Roman Empire. Best known for building Hadrian’s Wall which marked the northern most reach of the Roman Empire, his policy focus was securing the Empire by leveraging its strengths rather than overextending its reach. Hadrian had a disciplined attention to detail and focused on the infrastructure needed not only to defend the Empire’s territory but leverage its resource potential and revenue growth. What does Hadrian have to do with America? The driving force in today’s economy is uncertainty and the volatility it causes in global markets, policies, governments and the confidence of people in the future. This uncertainty causes business to hoard cash—at last estimate about $1.4 trillion of cash! It causes government to flip flop from policies of excess spending to reactions of excessive contraction and disruption of public services. When we need steady hands on the wheel we often find decisions driven by politicians lacking experience or ‘allied’ foreign governments so corrupt they are their own existential threat. In virtually every sector of the economy we face intractable problems. Here at home we have a huge federal deficit, a broken housing situation, looming costs for unsustainable entitlement programs promised for generations by politicians who could spend now and let someone else pay in the future. We know we must change the trajectory of spending or risk ruin. The 2012 election is shaping up to be both a referendum on President Obama’s leadership and a national debate on the sea change in policy needed to right the ship of state. We like President Obama and want him to succeed, but his policies seem out of touch with our economic realities, his style too partisan, and his poor performance results so far do not match his ‘Yes We Can‘ rhetoric which promised us a fresh, post-partisan start for a brighter future. For all of our problems we would not trade places with any other country. The emerging markets around the world including China, Brazil, and India face daunting economic problems adding to the uncertainty since faster growth in these emerging markets was expected to pull the more slow growing developed world back to recovery. Instead they face rising inflation, rising wages, falling exports as prices rise and thus slower growth and weakening economic fundamentals. The MSCI Emerging Market equity index fell 0.6% year to date after rising 16.4% in 2010 and 74.5% in 2009. Brazil’s and India’s government yield curves are inverting with short-term rates higher than long term yields screaming ‘recession ahead’, as investors take lower long-term rates anticipating declining yields in the economic contraction. China faces an economy reeling from inflation and slowing quickly from its frenetic pace forcing the government to raise wages, tighten controls and face serious economic dislocations that risk the social unrest it fears so much. Rising cost of China exports is good for Vietnam and other lower cost countries succeeding in winning away manufacturing contracts. The signals are clear the emerging markets are not going to save the world’s economy from bad fundamentals, poor judgments and unsustainable spending behaviors or policies. The EU has its own set of economic problems to face ranging from saving the PIGS to Germany’s knee-jerk reaction to Japan’s nuclear tsunami problems to the uncertainty over the efficacy of NATO evidenced most recently by Libya and the difficulty extricating ourselves from Afghanistan without the government and its economy collapsing. To secure America ’s future we need our own Hadrian’s Wall not to isolate ourselves or withdraw from the rest of the world but to secure the foundation of America’s finances, markets and our ability to project military and economic power around the world. That foundation depends upon America’s financial strength and integrity. It depends upon America remaining the market of choice for the world. It requires an America capable of asserting its strategic interests, defending itself and its allies, powering economic growth, and projecting those strengths around the world with sufficient determination to reduce the uncertainty and define a new way forward. So what does this have to do with energy? In a world of uncertainty and volatility, the bright spot in America’s economic future has been the unqualified success of unconventional oil and gas E&P right here at home and the prowess of America’s energy technology in 3D seismic, horizontal drilling and hydraulic fracturing to keep the door from being slammed shut by overzealous regulators. Now we learn that Exxon has discovered three substantial new oil finds in the Gulf of Mexico that have a combined conventional potential of more than 700 million barrels of recoverable oil plus natural gas. At the same time Exxon has also bet big again on unconventional gas E&P with its acquisition of Phillips Resources and TWP Inc for $1.69 billion adding about 317,000 acres for exploration in the Marcellus shale basin. The message from Exxon is clear—some of the best opportunities for energy production growth are right here at home. Alaska Governor Sean Parnell is focused on refilling the trans-Alaska pipeline where falling oil production has reduced pipeline flows to an average of about 640,000 barrels a day creating increased maintenance and operating problems. The state has been unable to persuade the Federal Government to permit additional drilling and oil production in Alaska and fears falling oil flow will cause the shut-down of the pipeline which would then have to be dismantled according to the laws governing it. 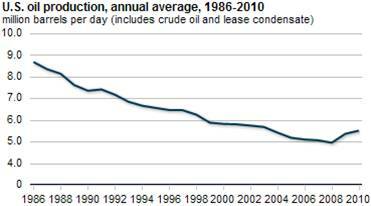 At its late-1980s peak the Trans-Alaska pipeline moved 2.1 million barrels of oil a day from the North Slope. Alaska has recoverable oil potential to again refill the pipeline to meet domestic energy demand if the Government will permit it. If restoring confidence is key to jump-starting economic growth and pulling the US out of the economic ditch, then unleashing the job-creating, revenue-producing, investment-inducing potential of domestic energy production is key to turning around our stalling economy. Accelerating domestic E&P in the Gulf of Mexico and Alaska. America’s best energy companies should be encouraged to develop America’s best conventional energy resources rather than exporting that technology and expertise around the world. Authorizing E&P and Renewable Energy Development Off-shore on the Atlantic and Pacific Coasts giving the affected states a material interest in royalties, severance taxes and economic growth potential on a competitive basis. Beyond just oil and gas this off-shore strategy should include wind and other renewable energy potential and transmission. Expanding unconventional oil & gas production across America and quickly resolve concerns over the hydraulic fracturing impacts on water quality by setting reasonable best practices, encouraging transparency and quickly resolving issues with mitigating actions. Balancing environmental and economic interests in regulations to promote national goals and reforming environmental procedures to prevent the use of intervention merely to delay decisions and drive up the costs would fundamentally change America’s business climate for the better without adversely affecting our environmental stewardship. Today we are permitting our environmental laws and rules to be abused for partisan and political purposes that are hurting our economy while failing to secure our environmentally responsible energy potential for the future. US-Mexico Energy Development Cooperation would benefit both nations. 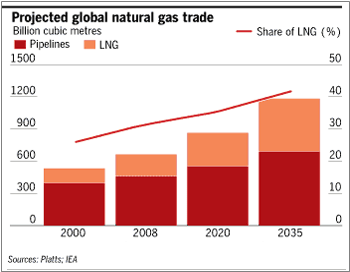 Mexico has a rapidly declining energy sector and would benefit from American investment, technology and expertise without ceding control over Mexico’s energy industry. Creating jobs in Mexico and additional energy resources for American markets would be good for both countries. Turning on America’s domestic energy production will send a powerful and unmistakable signal that America is again open for business. Doing so in a way that assures that the energy and technology to fuel domestic economic growth in manufacturing, trade, exports and services will be available and the Government and business are aligned to make it happen will reduce uncertainty and unleash the hoarded cash sitting on the sidelines just when President Obama needs it most. This entry was posted in Competition, Environment and tagged Alaska, Exxon, Hadrian, Roman Empire, Sean Parnell, Trans-Alaska Pipeline System, unconventional oil, United States. Bookmark the permalink.